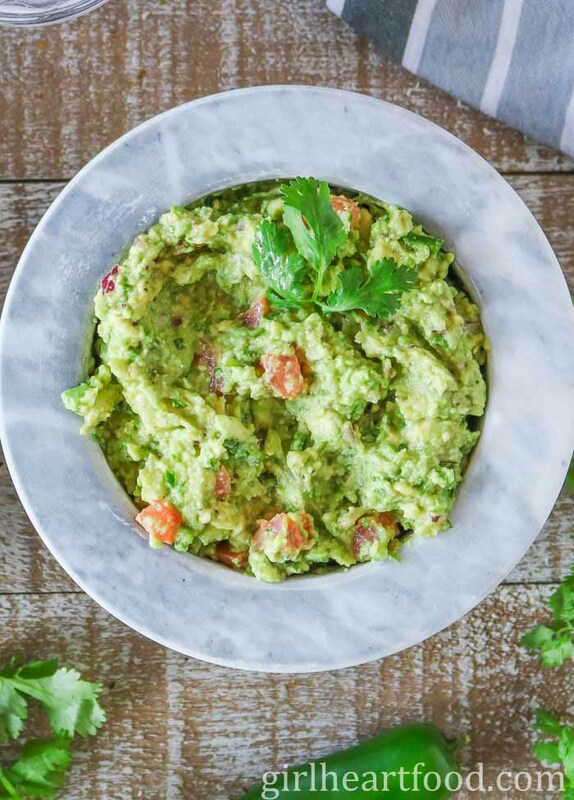 Ditch store-bought and make this Simple Guacamole Recipe in minutes! It’s fresh, poppin’ with flavour and as creamy or as chunky as you want it to be. Makes for a delicious game day snack for dunkin’ those chips! This Black Bean and Sweet Potato Soup with Avocado Cilantro Crema packs all kinds of flavour in one little bowl. 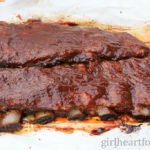 It’s made with simple ingredients like black beans and sweet potato, of course, and spiced up with smoky chipotle peppers. The avocado crema adds a pretty touch, but does more than that. The creaminess of the crema balances with the smokiness of the chipotle and it’s just a match made in heaven. This one will warm ya right up on the coldest of days. 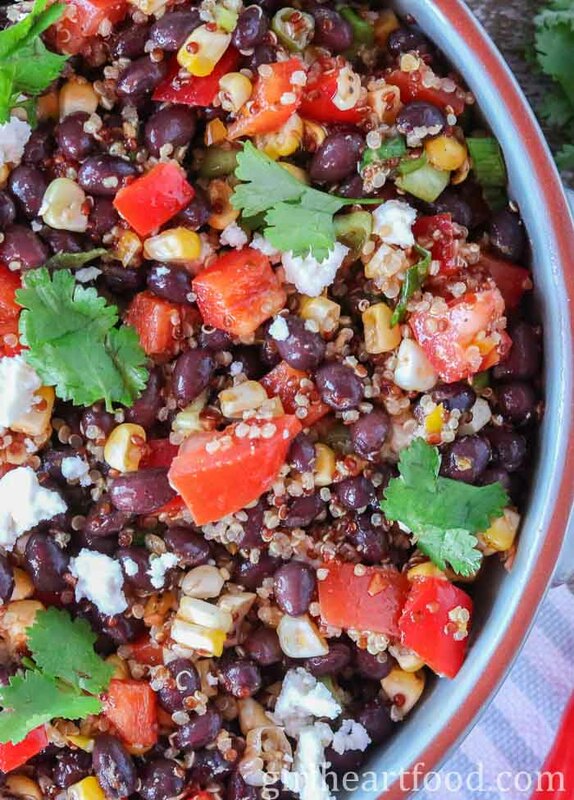 This clean eating Corn and Black Bean Mexican Quinoa Salad with Feta is loaded with veggies, beans and hearty quinoa. Makes for a light lunch or side to dinner.